Need instant assistance? Click the chat button and get live help from our instore experts for real time help and advice. Available Monday to Friday 9.30am to 6pm.  For all web or product enquires please contact our customer care team by email at customercare@dinnyhall.com or call us on +44 (0) 207 704 1543. Our customer care team will endeavour to respond to your enquiry within 4 working hours.